"... If history teaches us anything, it is that throughout the ages the woman diplomat has struggled to resolve a fundamental and existential tension between being representative of her country and being herself." I have just finished a running trip through the coastal length of Maharashtra, starting from Sindhudurgh district at the southern tip and coming up to Mumbai in the North of the state, running about 15-20 kilometres average on a day, and talking at schools and colleges on way. Vipassana philosophy is simple and the method is rational, says Devyani Khobragade. Wearing shorts, I braced for pinches and rubs, writes Devyani Khobragade. Teach our children to love and fight for their bodies, writes Devyani Khobragade. 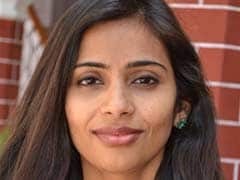 Devyani Khobragade on why she ran the Delhi half-marathon.